This is a fabulous recipe filled with Fall time colors!! As we head into the cooler months, now is when we crave those warm stews and soups! You may even want to consider cooking this meal in bulk for the week! 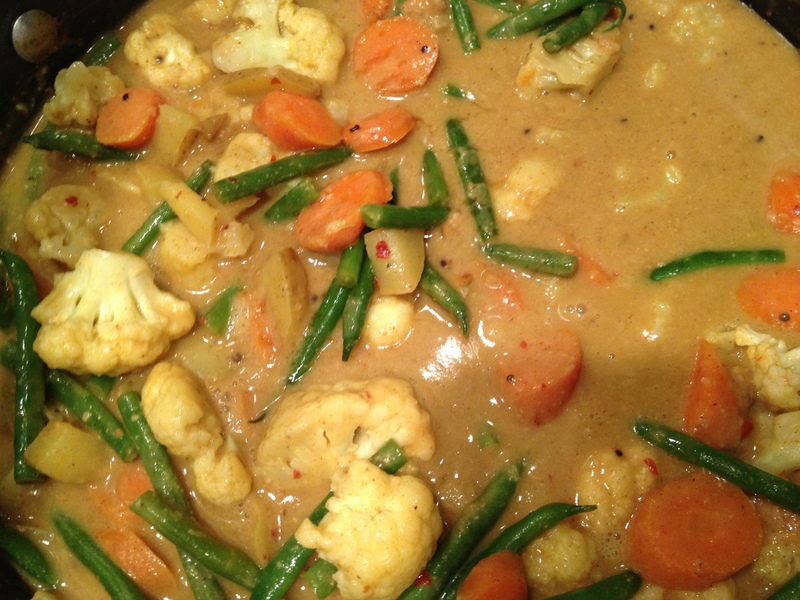 This Coconut Chicken Curry recipe is best served with brown rice or quinoa. You could also just eat as a soup/or stew. If you rather make a soup- add 1/2 can more of coconut milk and cook 10 minutes longer. 1) Gather all of your ingredients/most of your ingredients. 2) Chop all vegetables and set aside. Then cut chicken into bite size pieces, and throw in a skillet with a bit of olive oil. 3) Heat another pot with olive oil, add mustard seeds and cumin. 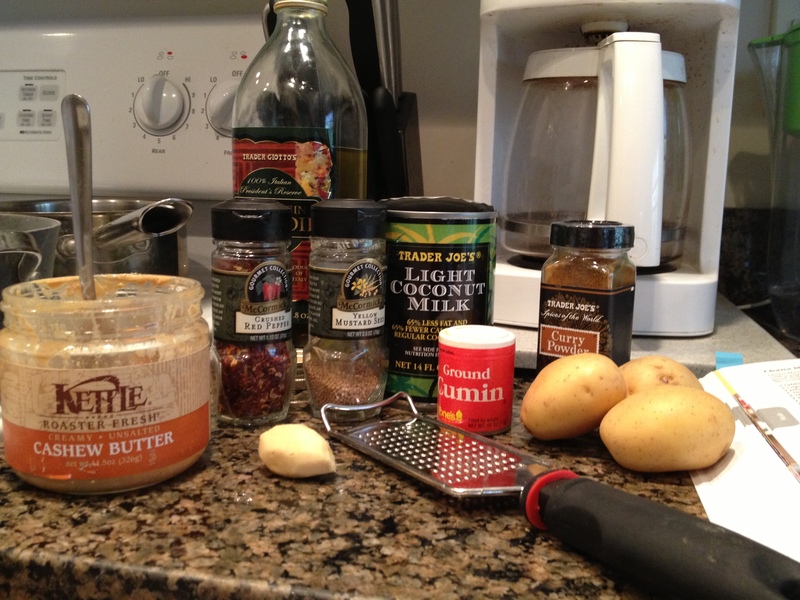 5) Next add in the almond or cashew butter. Use a whisk to help mix it in. 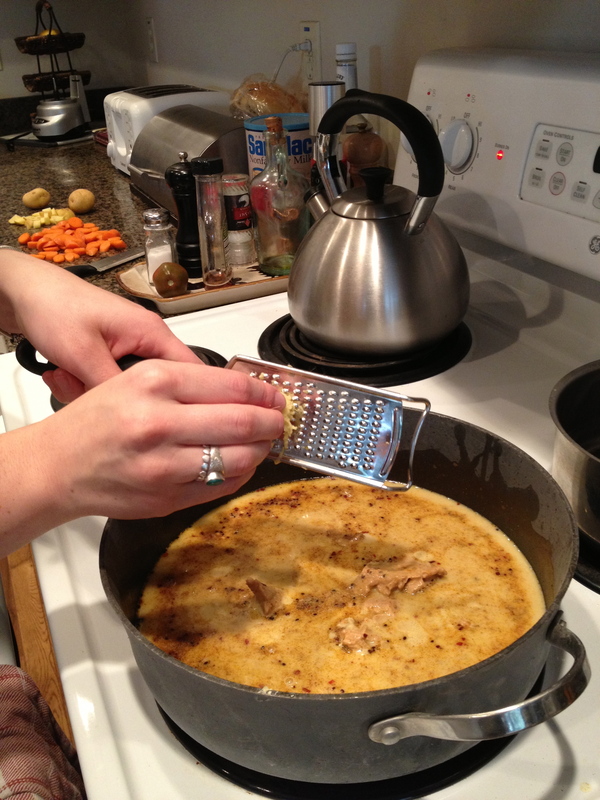 6) Grate in fresh ginger, or throw in powdered ginger. 7) Now throw in your veggies, and let it cook for 25-30 minutes. 8) Then throw in your cooked chicken, and let cook for another 5 minutes. I love curry! I have a similar recipe that I make in the crockpot – I love how it fills the house with all the wonderful smells. One of my favorite things- those delicious smells 🙂 thanks for the post!